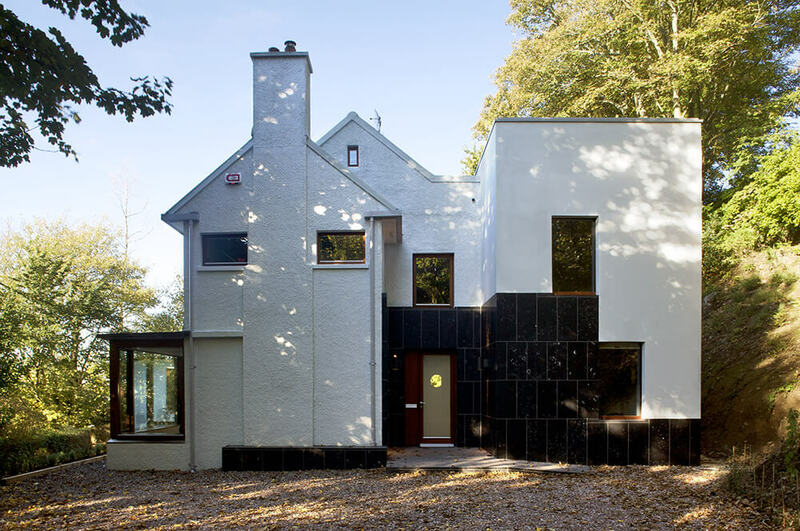 Our request to the architects was to design a two-story extension to our much loved, but badly-organised house, and in the process to integrate properly for the first time the original 1940s building with the ad hoc extensions built in the 1970s and 1980s. We are delighted with the result, which respects and enhances the best features of the original house, while integrating and transforming the old extensions and adding a wonderful new one, exactly meeting our needs. We love the new spaciousness, the greatly-enhanced light, the use of natural materials, and the meticulous finish. 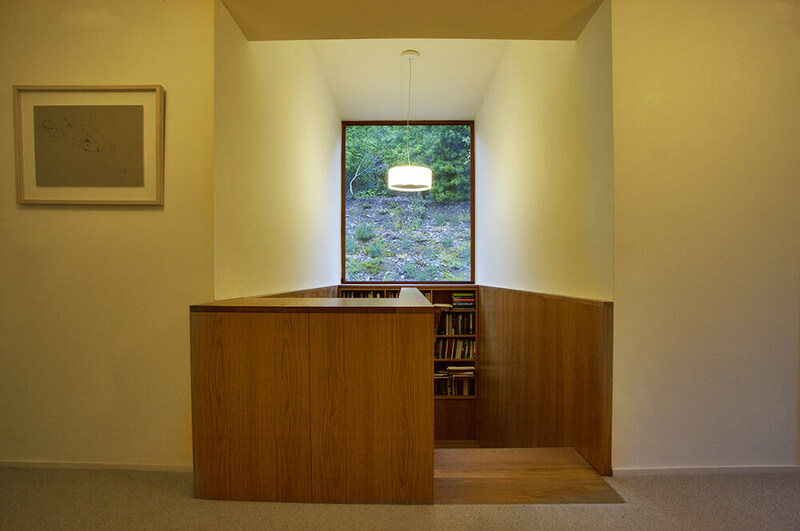 In particular, we feel the oak-clad and limestone floored hall reflects perfectly the name and position of the house: Roscúil means a wooded promontory. 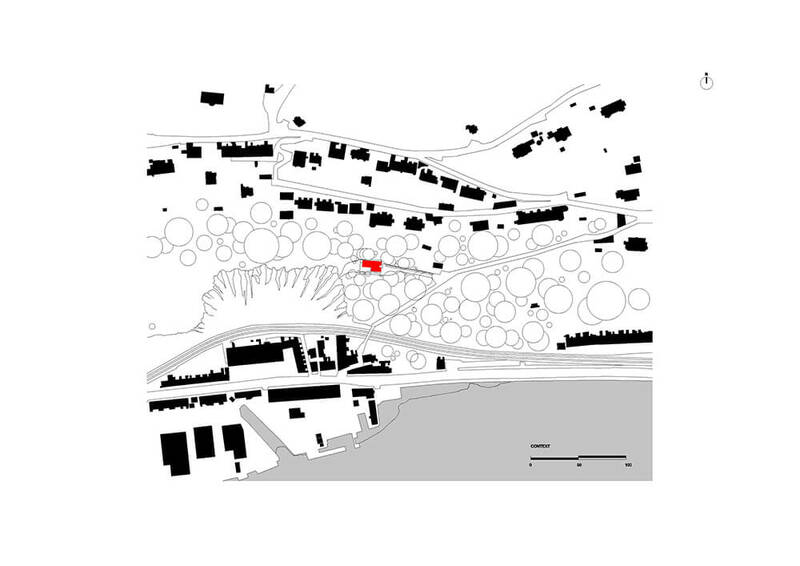 Roscúil is set in on a wooded promontory overlooking the river Lee. 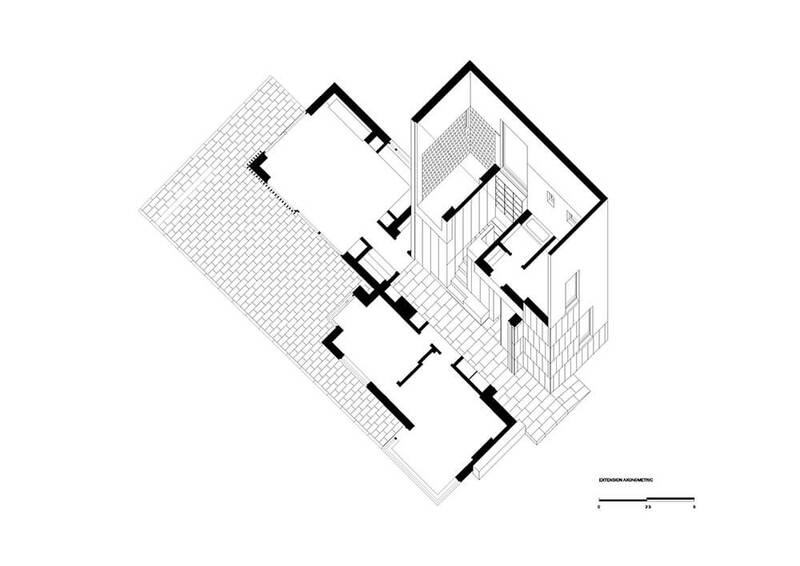 The original concrete house was much extended with a labyrinthine circulation system. Our clients looked for additional bedrooms and study space for their extended family as well as better connections to the grounds outside. 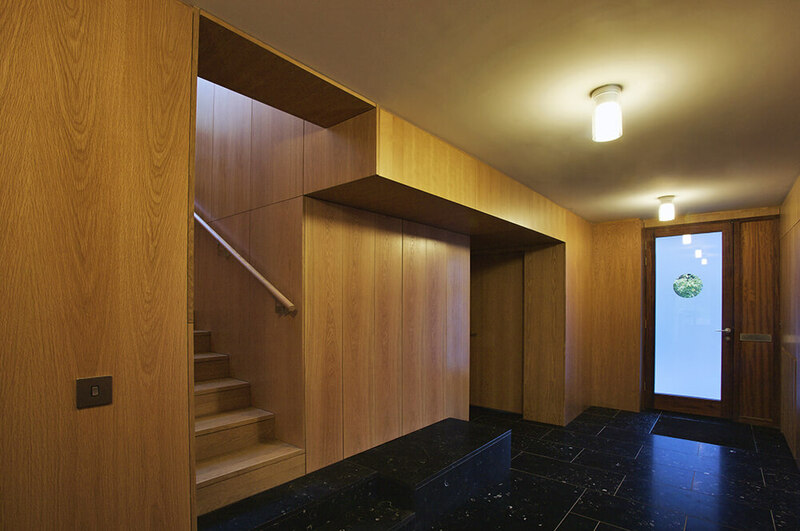 Our strategy was to carve out the core of the house, line it in warm timber and pave it with black limestone. 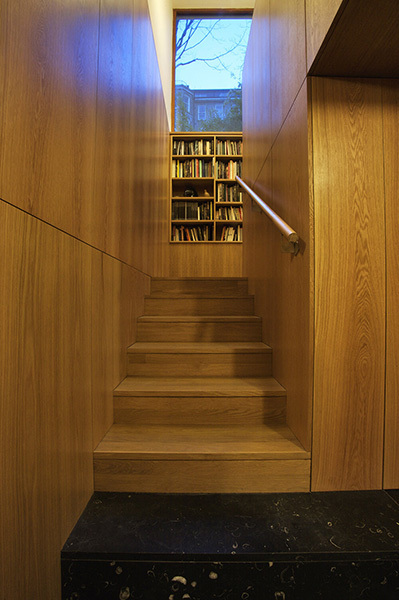 The oak hall, from which all living areas can be accessed, leads to a generous staircase with a library on the landing. Above this is a clerestory window looking up to the green bank behind the house. 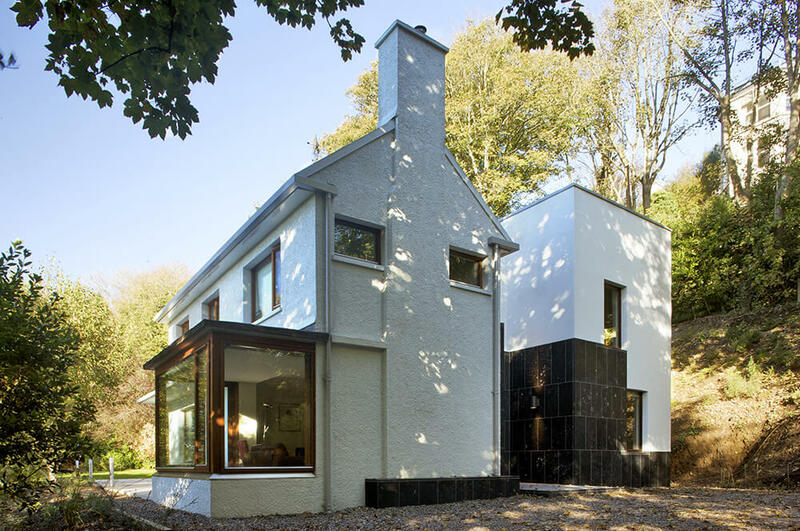 The new extension is a two storeyed annexe, a simple rendered box, to the front of the house. 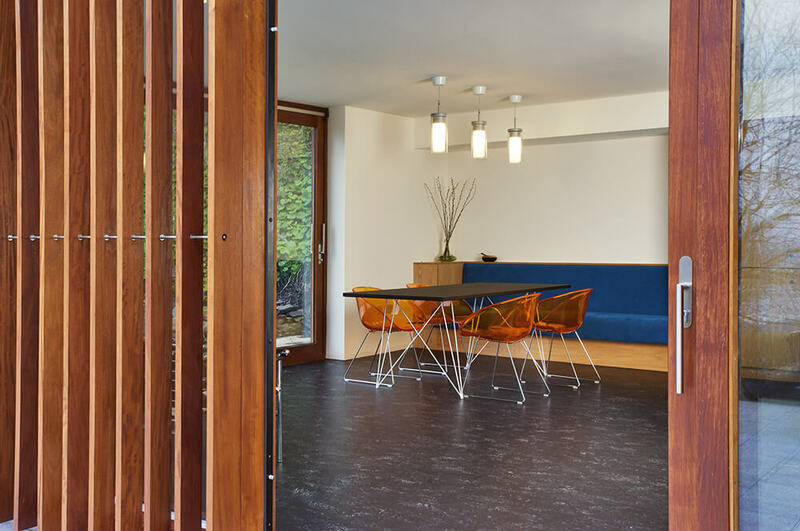 Honed black limestone lines the entrance and wraps around the new annexe. The original extension, which contains the kitchen and master suite above, has been re-fenestrated. Sliding doors and a timber screen wrap around the ground floor, giving direct access to sunlight and terrace. A tall window on the western gable completes the intervention.